When you think about, money, great wealth, or massive fortunes, often we are short sighted and look only to the present day examples of great wealth accumulation. Names like Rothschild, Carnegie, Rockefeller, Gates, Buffett and Zuckerberg. Have primarily acquired their fortunes through enterprise and business. Yet as far as fortunes go, they pale when compared to the massive fortunes of those from the past. Money and wealth has been a source of desire amongst men for thousands of years and its pursuit, is what has shaped the world in which we live. If we look back on the richest people in history we see that being an Emperor, a King or a Ruler was a shortest route to wealth and power. 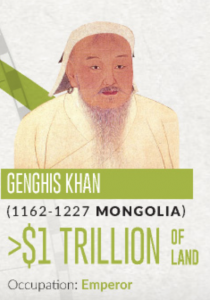 The massive fortunes of the past were acquired by conquest, invasion, warfare and the use of brute force. Since the earliest of times brute force was the quickest way to great wealth and power. The process was simple, directly take it by force and then share a portion of the spoils with your most loyal supporters and surround yourself with an army of devotees and muscle. – In many parts of the world this is still very much the case. In the past, communities, regions and countries and their economies were controlled by the kings, queens, and emperors together a small group of ‘insiders’ who used the economy for their own benefit. It was the Tzars and the tyrants that controlled much of the worlds wealth. Whereas the majority (the masses) worked extremely hard, for only a small portion of the production of their own efforts. *(an example of a few such bankers). The Kings & Queens and tyrants of old may have gone, but the structure and the ‘insiders‘ still remain. Just the names and titles have changed. Today’s social hierarchy still resembles the power and wealth structure of old. Except that today we have a new ‘ruling elite‘ – called “Government”. Who pretty much play the same game, except that they con us into believing that they ‘serve’ us and are protecting us from some perceived threat or an imagined mortal enemy. With the illusions of elections and power sharing and the ‘greater good‘ of humanity. They paint themselves as benefactors to society and for which we should be thankful that they rule us by consent rather than by ‘divine right‘ as in the past. Fortunately with the industrial revolution (1820 – 1860) came a major turning point where every aspect of daily life improved for the better. (yes, I realise you may have been taught a different version of this truth – compliments of your Government funded education systems). But the fact remains that it ushered in a period of unprecedented economic growth and brought about higher average incomes, the likes of which had never been seen before. In countries like Britain, Belgium, France, and the United States, it created freedom for the average person of enterprise, to become rich. It created a new concept of wealth creation that didn’t rely on brute force. Wealth could be created by using ones’ mind and by thinking and implementing new ways of doing things. It overturned conventional methodologies and it tore down traditional social structures and created new industries and technologies that have never existed before. Unfortunately, this trend is reversing as today we are seeing increasing regulation, increasing warfare, increasing social controls, and the removal of individual rights of the people, in ever more dramatic ways. Making it more difficult (but not impossible) for the average person to create wealth. Yet, becoming wealthy is no longer exclusively for just the powerful or the politically connected. Everyday people are still able to create wealth and become rich from their own efforts. 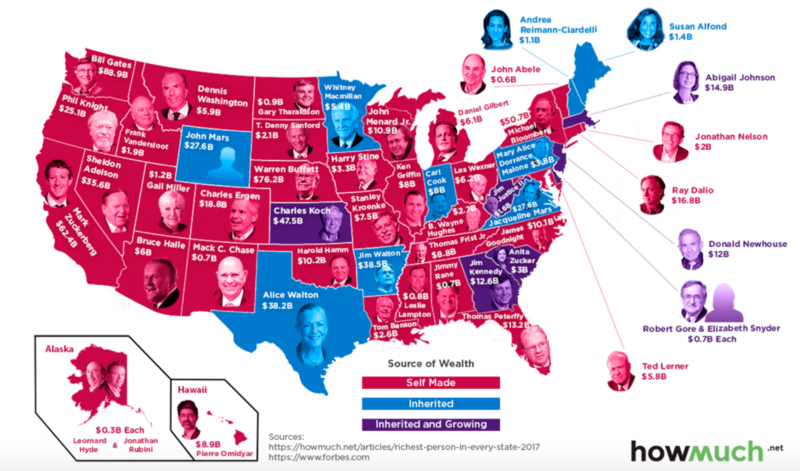 From researching the richest people in each state in America, we can see that wealth is now distributed across a much wider sector of society and not just exclusively held in the hands of the political elite. Something that was simply not possible prior to the industrial revolution. And this is due in part to another revolution which is dramatically shifting the way in which an average person can create wealth. Industry after industry is seeing a new breed of competition that doesn’t feel obligated to operate under the old, slow, cumbersome, outdated rules of the past, which were designed to protect those existing industries from competition. Look at Tesla Motors, Uber, PayPal, SpaceX and many other innovative companies that have taken on the industry giants and won. New upstarts that are challenging status quo. This new *trend directly challenges those traditional “safe” industries that haven’t seen much change in decades. Well, one thing is for sure, don’t wait around for Government bureaucracies to come up with new ideas or new technologies, to make your life easier, or to save you from economic ruin. Instead, you need to think about how to “Make it as easy for customers as possible“ and then go ahead and make it happen! And one way to do that is via the Internet. 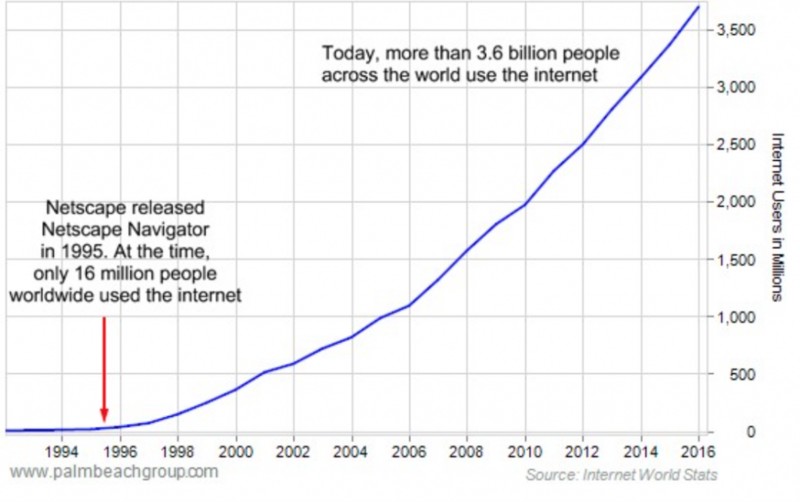 In 1995, there were 16 million internet users. Then Netscape Navigator came along. 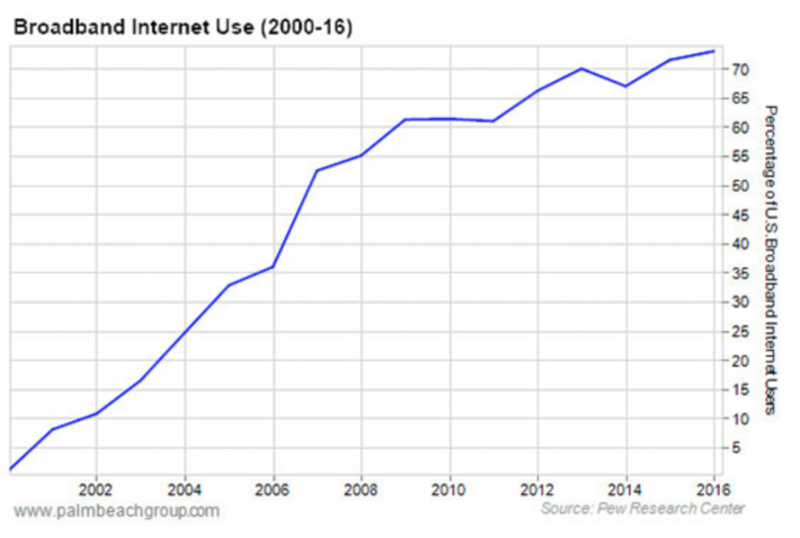 By the end of 1996, the number of internet users had more than doubled to 36 million. And five years later, there were over a half-billion users. That’s an annual growth rate of over 100%. Today that number exceeds Three Billion (half of the worlds population) Imagine having websites working 24 hours a day providing information to those three billion people searching online for information and solutions to problems. Maybe you remember how slow those old dial-up modems were. They had a top speed of 56 kilobits per second. Then Broadband, came along offering speeds between 1,000 and 11,000 kilobits per second. That’s 20–200 times faster. But here’s what’s interesting. In 2000, hardly anyone (less than 1%) had broadband in their homes. Then by 2016, in the U.S that number had grown to over 70% (see chart below). With faster connection speeds, Internet usage also increased during 2000 – 2016, up from 43% to nearly 75%. Even though it easier for everyday people today to get rich, its also important for many other reasons and one is, your own survival. It’s important because salaries are plummeting for the average middle-class worker. The median real salary in America, today, adjusted for inflation, is almost 10% lower than it was in 2007 and its still falling. Financial security and social security are myths and may not be there when you come to collect your share. Yes, there are people making a lot of money online and by this I mean a full-time income for part-time work. But wait, before you get too excited, there are many people who aren’t making anything. In truth very few are making $100’s or $1,000’s of dollars a day online. In fact, that only happens for a small portion of people because they need to learn how to create engaging content and learn how to use search engine optimisation tools and learn a variety of different marketing strategies in order to build a long term, income online. Fortunately it’s not as difficult or as complicated as you might think. If you get the ‘right‘ education. However to succeed online, you need to be “teachable” because getting an education and learning the ‘smart‘ ways to build websites and learning how to promote them isn’t as easy as people think. Many people who start an online business go into it with high hopes and expectations and some even think they will become rich overnight, but unfortunately, this is far from the reality. You know the money’s out there, just waiting for you to stake your claim, but you just don’t know where to begin. Or perhaps you know how to begin, but you soon got lost and became frustrated. But it’s not really difficult or complicated if you get the ‘right‘ information and can access the ‘right’ resources. If only there was a course that could deliver everything that you needed to know. Wouldn’t that be great? Well, I have some Good News!! I’m going to show you how you can access over 300+ ‘How to‘ video tutorials that will teach you everything you need to know about building an internet business. If you’re going to achieve any sort of online success, you’ll need to know, understand and implement many techniques and for most beginners, this can be a daunting task. Getting all the information you need to start building your business the right way is very important. For many it’s too easy to get bogged down, become stuck and give up in frustration. But it’s not too late, even if you have tried before, or are struggling to make any money online. But make no mistake, as an Internet Marketer, you are self-employed, and you are working alone. 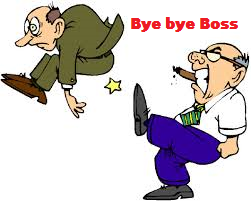 There’s no ‘corporate ladder to climb’ or a boss to impress for promotions or ask for pay rises. Many people are attracted to the fact that you don’t have a boss telling you what to do. 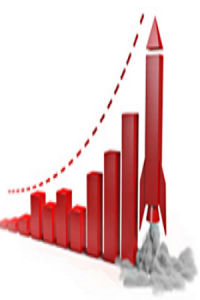 But the fact is that online marketing initially involves a lot of hard work. You will need to put in a lot of hard work up front in order to reap the rewards further down the line. Perhaps the biggest draw of internet marketing is not just the money, for many people the appeal lies in the fact that this is a ‘passive’ business model. While you can build a great income how well you actually do, is up to you and how well you implement what you learn. But once you’ve set everything up, such as your sales funnel, your sales page and your products, then you can literally be earning money while you’re sleeping, while you’re on holiday, in fact 24 hours a day, almost on autopilot. However to begin with you need to be willing to put in a lot of hours for very little reward. And there is also the risk when you’re first starting out that you will struggle and become frustrated which is exactly why you need to get this program and go through the videos. There are more than 3 Billion internet users and if just 0.0001%, which is 3,000 people, were to visit your website, your potential to become an internet superhero to those visitors is huge and your potential to make a great living could be enormous. But of course you need to get the education and the tools to learn how to build a sustainable online business. I understand that the idea of affiliate marketing or working online may seem overwhelming for some people, hence the reason I have offered the above as a complete training solution for anyone wanting to get started in building a successful business online. If you enjoyed this article “How to Make Money Online” please feel free to socially share and leave a comment below. 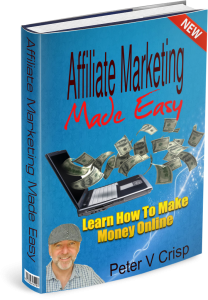 Do, that and I will reward you with a free PDF copy of my book; Affiliate Marketing Made Easy. Let me send you a free Gift as a ‘Thank you’ for reading this post. It’s one that you can download for free – if you act before the offer expires. 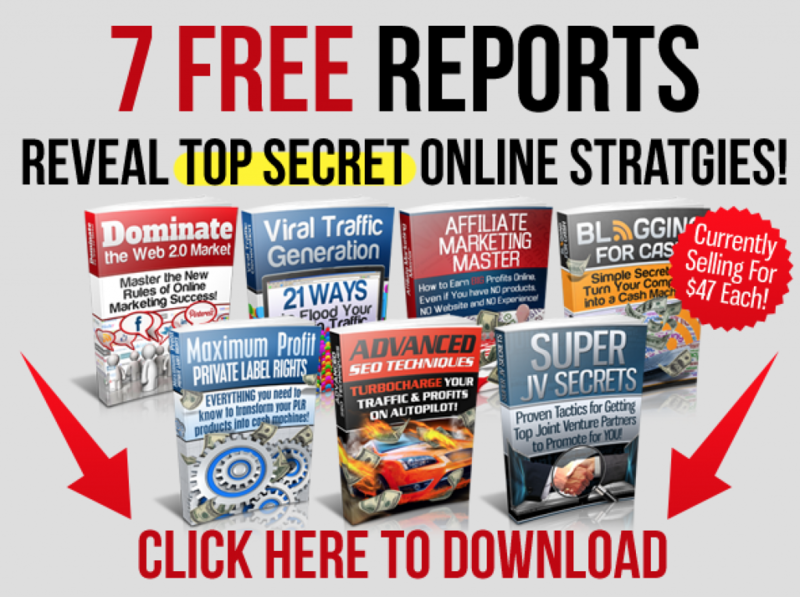 GET THESE Free Reports – Search Engine Optimization, Affiliate Marketing, Viral Marketing, Joint Ventures, Blogging, Social Networking and More. Click the image above. I enjoyed your web page. I like the use of graphics. Not only did I learn a lot about the history of wealth which was very interesting you also gave a lot of good information about making money on the internet. I was looking at your ranking of the wealthiest people and was surprised you did not have Amazon’s Jeff Bezos. Seems like I recently read he was the richest person in the United States now. Hello, James. Yes, you are right, Jeff Bezo should have been on the list. His wealth fluctuates depending on the share price of Amazon. When the financial markets opened on July 27, 2017, Bezos briefly surpassed Bill Gates on the Forbes list of billionaires to become the world’s richest person, with an estimated net worth of just over $90 billion. But he lost the title later in the day when Amazon’s stock dropped. Then in October 2017, Bezos again surpassed Gates on the Forbes list as the richest person in the world when his net worth surpassed $100 billion for the first time on November 24, 2017, after Amazon’s share price increased by more than 2.5%. I think the hardest part about making money online is the lack of a traditional co-worker to interact with. With my own blogging career, this seems to be the hardest aspect to grasp. With that said, the career definitely affords a nice lifestyle that allows me to pursue other pleasures besides simply going to work. For example, I can wake up at 4 in the morning and work on my own business growth. Not many jobs allow that. I think though that it ultimately comes down to reaping what you sow. But as always, you have to sow first. This well-organized site has answered so many of my questions about affiliate marketing. I like the information on avoiding scams and found that helpful. I also like the easy-to-understand explanations on affiliate marketing. I have one question, how does one start an email list and is it worthwhile? I am going to add you to my Google+ and will enjoy getting your informative ebook! Thanks! Thank you for your reply! 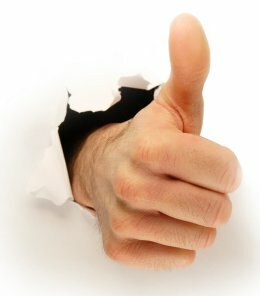 Look forward to learning from your email list sources and thanks for including them here! Wao Peter I am short of words but actually love everything stated in this write-up “How to make money Online. 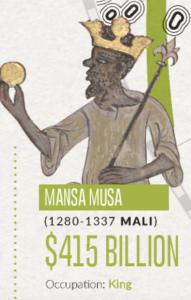 The Historical description and explanation of how money was acquired in the past- by the Kings and queens, through warfare etc is quite informative and educative as well. The writer also gave an historical view of the current trend which is the Network marketing or Online Businesses rocking the society and making millions or billions of people rich in which newbies/or all are advised to delve into and be patient with its outcome since getting rich is not a day’s job but patiently and persevering in hard-work as to success. Thanks for this masterpiece and goodluck to you. What a wonderful compilation! I went through the entire post and learned a lot. The content is quite informative and can really encourage anyone to make money online. What I am sure prevents most people from making money online is anxiety. Due to anxiety, many people want to get rich overnight which is far from it. Obviously, no one can jump mountains. One has to climb patiently and steadily. Well covered article about the history of how the elite made wealth (emperors, kings, tyrants) compared to today where anyone can make wealth. All of this is due to the internet revolution. I know that money cannot be made quickly and as it will take trust from the 3 billion people going to one’s website. There are so many scam sites that do take money from people but not for the right reasons. I love the phrase ‘honesty is the best policy’. Writing genuine, engaging, fact based content IS the most important thing that the users are looking for. Users are smart and they know from those that are genuine to those that are trying to get rich quick. You also mentioned being teachable which I totally agree as we are not perfect and there are things that one who is starting or currently doing online marketing that do not know other ways to increase their success in the online world. I love this other comment which is ‘Good things comes to those who wait.’ which in my mind comes the word that comes is ‘Patience’; patience is a virtue. Money and wealth will come but it will take sacrifice, time, commitment and honesty. All the billionaires that you have mentioned where the wealth was self-made were ordinary people. Look at where their ideas, hard work, commitment led them. What is common is that they became wealthy by solving problems that the average person faced. This is exactly what one has to do and that is to come up with a problem through a niche and helping the 3 billion online users with that problem through written content. Thank you for helping others as well as me through your article and may you be successful in the years to come. Peter, the information you offer is mesmerising, I could not put it down, VERY engaging. 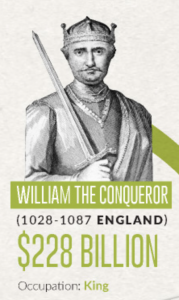 I even pulled up the info-graphic from The Money Project and read the whole thing! I think you should write a book on the subject. I am early on in the process of making money online and you have certainly set the bar for how to get the job done. Congratulations on the great article. this articles have everything that a beginner wants to learn, but still it is very good for the masters in internet, since you said about affiliate marketing, but I need to know more about it and how to make money online by affiliate marketing since I have tried but no one even click the link, which I really want to learn it from you. If you can please give me some tips. Wow, there is a wealth of information in this post. One thing that you mentioned that really resonated with me is the need to be “teachable” in order to learn a new skill. With that in min,d could you share some of the traits that your most successful and teachable students have in common? I’d like to work at developing these traits within myself, so I’d love to hear your thoughts. Many thanks. Excellent Article. The points you made about “the new concepts of creating wealth”, financial security and retirement being a myth, and “becoming educated by being teachable in Internet marketing strategies were paradigm shifts for me. It is my hope and plan for the SpareHanz brand to reach it’s financial goals by sociopreneurship marketing strategies. I have a passion for “local residential community engagement” and by using the multi-platform internet capabilities to make money online SpareHanz can more easily address the need for not only “the middle class” (which I was/am a member of the Generation who experienced mostly the growth and expansion before the “demise” began) but more importantly those designated as “disadvantaged” or The “weakest among us” (as in economical classified groups)…The life changing benefits of learning, How to and choosing to be Self-Made. 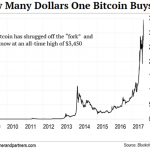 Your article does a great job of highlighting the importance and opportunity to “create wealth by using ones’ mind and by thinking and implementing new ways of doing things”, We want as many people as possible to become educated in the “unprecedented opportunities” of the emerging On Demand/ Cryptocurrency based Economy. I read recently that in the United States, there are 514 billionaires and about 11 million millionaires. I think I see promises of wealth all the time, and I would like a cut, but I certainly didn’t come from a background that could have made that happen from an early age. Your article mentions how to do it, and I know it won’t be easy, but is becoming an entrepreneur the only way to secure wealth in someone’s life? Hello, burleyboy. Yes, wealth is no longer exclusively for just the powerful or the politically connected. Everyday people are still able to create wealth and become rich from their own efforts. Although it easier for everyday people today to get rich today, compare to the olden days, its also important to realise that you still need to be “teachable” because getting an education and learning the ‘smart‘ ways to build wealth and learning how to promote your ideas and businesses isn’t as easy as people think. Getting all the information you need to start building your business the right way is very important. For many it’s too easy to get bogged down, become stuck and give up in frustration. The internet is truly changing the way we do things and this has made it hard for newbies to make money online. Everything now entails receiving proper training due to technicalities and complexity. For those who learn adequately about making money online, the internet turns an ocean of wealth whereas for those who don’t want to be taught, making money online becomes a lie. To really have any sort of online success as explained above, those techniques that need to be known, understood and implemented include having a strong foundation which implies building a website and optimizing it to rank high in Google and other search engines. For a search engine optimized website to perform excellently in search results, how many articles must be published daily? How long would it take such a website to start generating traffic consistently? This is a great article. I love it when you start with history lessons and slowly relate it with the current economic trends and eventually, focusing on how important making money through online is. Yes, I agree with you, getting involved is important. Something that we cannot miss out. Like you noted above, 3 billion are on the internet right now and for us, why not grab a just small piece of the pie for conversion rates? Right? Very well written about the Richest people and the History about It. I was not aware about It Earlier. 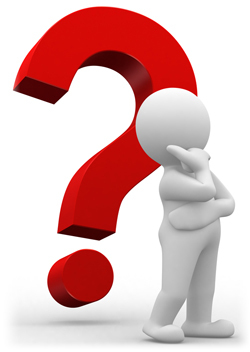 Can you Please Tell me some Best methods to Earn money on the Internet without Investment? How much time Does it take to start Earning money Online? Can I start it part time? I love this site. I did not realize there were so many billionaires in the United States, and the majority are self-made. With so many people online now, it seams like if you put your heart and soul into building a website you could actually make a living doing it. I look forward to my digging into the 300+ How To Tutorials. Great Article. I really enjoyed reading this. I’m glad that I found it. I love Wealthy Affiliate. I build a great business using their training. Their training was easy and detailed. I love how they broke down affiliate marketing and how they taught me to build a website. I’m so thankful for all the WA has given to me. Wow! 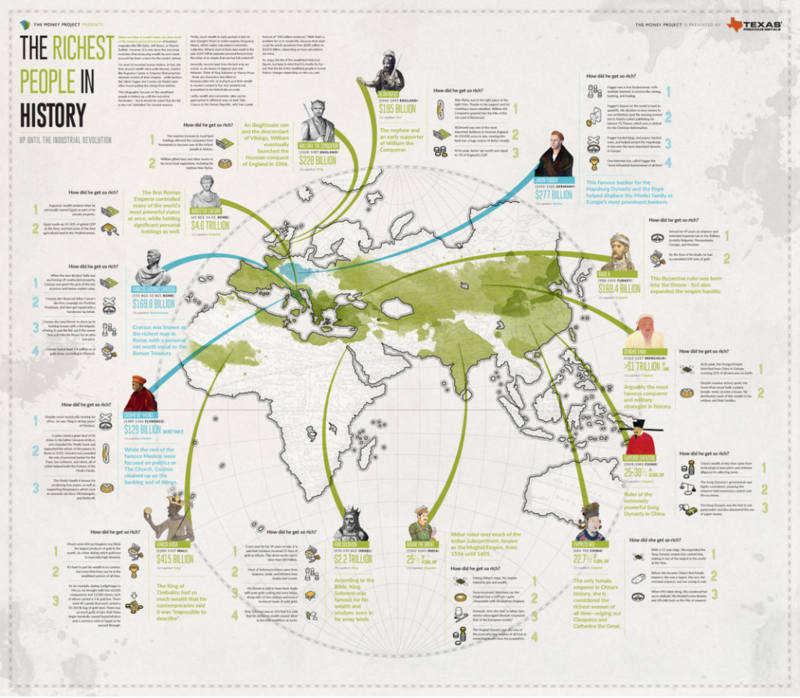 Just wanted to leave a comment to say very interesting article, never really thought about the richest leaders before the industrial revolution. I really enjoyed the creative content, not many people break it down like you have and it made it very easy and enjoyable to read. Very interesting and educational post. Definitely that many of data about wealthy people you provided could be found online just here is all on the list. By the way, you forget to mention present Russian president Vladimir Putin. 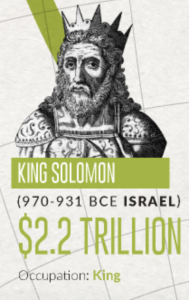 I have read some rumors that his riches make up more than $200 billion. I just can not determine in which category to enroll him. Self-made? I do not believe that. Inherited? No. I guess it is the brute force is the more or less correct designation as few who believe in fair elections in Russia. I know this is hard decision but your article means a lot to me as I’m a newbie. I will keep focus and work hard to achieve what I’m targeting. Thank you for the great article. Absolutely love this article. My main goal as of recent is to make money online. I know this is a tough decision to make but I had decided this is the way I want to go so I appreciate all of the information your article provides on ways to do this. I have already started my first website but I know it will take time. I will be revisiting from time to gather more information thanks again. Hello, Marquis. Thank you for your comments and I am pleased you wish to revisit my site. I hope you enjoy the eBook that is coming your way for leaving a comment. :). Sometimes I wonder if the advent of the internet is such a good thing. Yes, it has given us a million ways more to earn money but also a million ways more NOT to earn money. That sounds Irish. Sorry. What I mean is, as you so rightly say, one has to educate oneself to the many methods of making money and it is extremely difficult to do in such a huge field. But with the information that you are giving away free, it will make this journey so much easier and more enjoyable. So from someone who has been feeling overwhelmed with all the information, Thank You for the advice, the downloadable reports and the care you take in explaining everything so well. It will be well worth subscribing to receive your monthly letters. 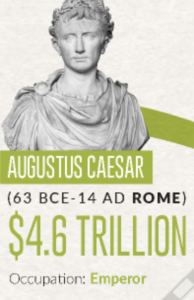 I loved reading about the ancients who were so rich in today’s monetary terms! Hello, Althea. Yes, I agree and that exactly why I created this video program https://onlineaffiliatewealths…because if you’re going to achieve any sort of online success, you’ll need to know, understand and implement many techniques and for most beginners, this can be a daunting task. Wow! That’s a huge library of information. To someone who loves to learn it’s like finding a gold mine. How-to anything I want. Thanks! I agree that it’s easier than ever before to get rich. If everyone gets rich, then it wont be ‘rich’ anymore, it will be the standard, middle class. My uncle told me once that the difference between a rich person and a poor person is what they do in their spare time. I enjoyed your history lesson. I wish this was taught in school. It makes things in ‘real life’ make much more sense. Great look at internet marketing. I relay like the content and how you blended commerce as a whole from past to present, and how to take advantage of the internet to build wealth. great article, I love all things internet marketing, and this post a cool new way to look at the possibilities of the internet. Hello, Shane. Yes, its possible to make a lot of money online. I really appreciate that very few people out there are still able to make the most of what they have. The internet is a very powerful way to make money yet so many people only use them for their entertainment purpose only. Sad truth is that there are so many ways to make money online yet they complain about their job. Luckily we can have a piece of the pie if we work hard. Hello, Sheikave. Yes, you are right. Many people don’t understand that they could use the internet to create an online business that pays them a full time income and gives them a lots of free time. 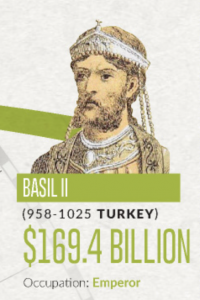 Interesting concept…I like how you managed to bring a current financial conversion of wealth from wealthy rulers and conquerors of old to today’s dollar value. I think the whole political side of it is a bit of a stretch but I see where you are going with it. I am frugal, but want to get on the right foot and be smart with my investment into a business venture. I understand that with anything with the potential to make a good living there has to be a certain amount of investment and risk. There are a lot of affiliate marketing companies out there, and a lot of scams. How does Wealthy Affiliate stack up, and what ones should I stay away from?! So you don’t believe the “Government” cons us into believing that they ‘serve’ us and are protecting us from some perceived threat or an imagined mortal enemy. Or they use the illusions of elections and power sharing and the concept of a ‘greater good‘ of humanity. To paint themselves as benefactors for society and for which we should be thankful that they rule us by consent rather than by ‘divine right‘? America was once great, an unprecedented economic powerhouse, the land of innovations and freedom. Due primarily to its ‘very limited government’. Then unfortunately that limited government entity was allowed to grow unchecked and now has grown so big that it has all but destroyed the entrepreneurial spirit with too much regulation and intervention into the economic affairs of the people it pretends to serve. But sadly most Americans never recognise they have been brainwashed into thinking they are still living in the land of the free & the home of the brave. They prefer Instead, to believe that countries like China and Russia are their enemies and that their own Government is their ‘friend and protector’. Yet in truth, not only does the government spy on them, deceive and mislead them, they also hide the truth from the very people that voted them into office. Wealth and prosperity do not come from the Government or its rules and regulations. Government regulations restrict and hinder business to the detriment of society. It’s rules and regulations are not for the protection of our society, as they claim. These rules are in place for control, not for protection. We do not need more regulations. We need far less. (if you think otherwise your are still brainwashed, and you need to see this article). To discover who are the real benefactors for society, you may like to read this post. With, regards to, Wealthy Affiliate it is probably the only platform you need to build a successful online business. It’s where you can find all the resources and tools and a community that will assist you along your journey to a successful online business.